Representatives from NYC DOT and the office of Councilmember Reynoso were out in full-force on Monday evening to administer surveys in-person with residents and commuters around the Jefferson Street L station. 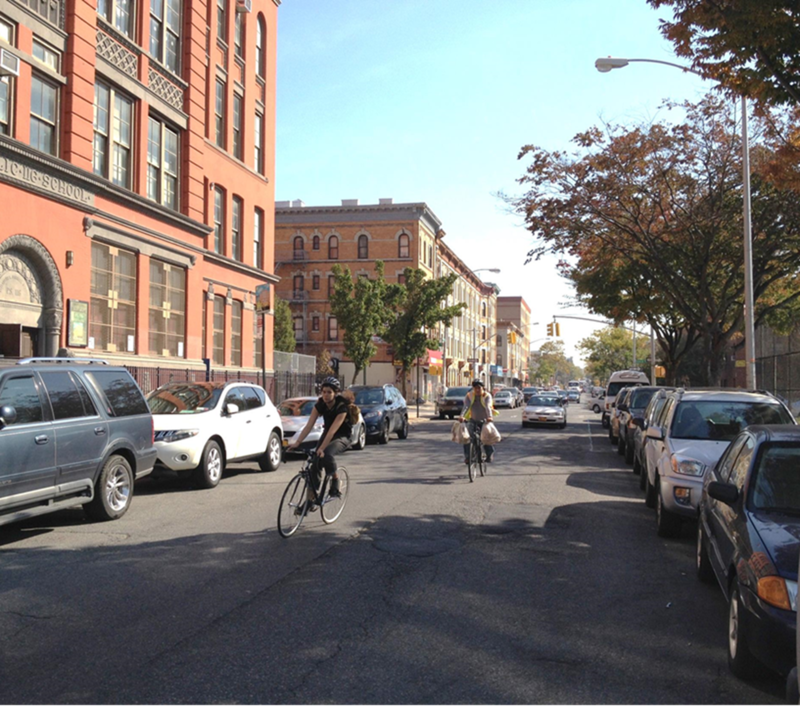 The survey asks individuals to detail their experiences biking on Bushwick's streets. Representatives from NYC DOT and the offices of Councilmembers Espinal and Reynoso were out in full-force on Wednesday evening to administer surveys in-person with residents and commuters around the Myrtle-Wyckoff L/M station. NYC DOT was happy to be a part of Eco-Station's Earth Day celebration on Thursday afternoon, April 23, 2015, at Bushwick Campus Farm on Irving Ave.
NYC DOT representatives visited bike shops throughout the neighborhood to solicit their feedback and involve them in the outreach process. NYC DOT held its first community workshop at the New Jerusalem United Methodist Church on Knickerbocker Ave on February 19th, 2015. Thirty-five people participated by idenitfying difficult streets and intersections for biking and proposing their own community bike network. On November 18, 2014, NYC DOT kicked-off its community planning process with a presentation at the 83rd Precinct Community Council on Knickerbocker Avenue. In August 2014, NYC DOT launched an online survey to collect feedback on the community's experiences and challenges for biking in Bushwick.